Calabar is an enchanting city in Cross River state and also the capital of the state. Calabar is often called the tourism capital of the Country and that can be understood due to the Tinapa resort, the Calabar Carnival and other signs and festivals that daily turns people to the city of Calabar. When you think of Calabar, you mostly think tourism but it is also one of the beautiful cities in Nigeria to rent real estate and live in. Calabar is a residential area and it also manages to be a well-commercialised area in Nigeria as it used to be one of Africa's biggest slave ports and was later a major exporter of palm oil. Some of the amazing attractions in the city of Calabar includes the Marina Resort, Drill Ranch or Drill Monkey Rehab center, Mary Slessor's Home, Slave History Museum, Duke Town, Tinapa Business Resort, Obudu Cattle Ranch and Oban Falls. Houses for rent in Calabar have grown popular over the years with the number of people trooping into the city regularly, the need for accommodation rises. Calabar is a fairly safe town with a good road network and fair power supply making it an ideal location to rent residential properties like Duplexes, Flats/Apartments, Bungalows, Detached and Semi Detached houses among others. If you are looking for land to lease or rent, you'll find plots of land for lease/rent in Calabar and also commercial properties like shops, office spaces, filling stations for rent in Calabar. 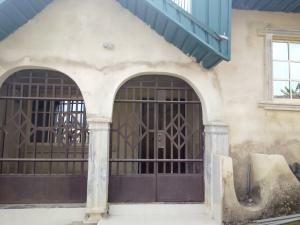 The rent price for houses in Calabar differs with the type of property and the area, but you will find various properties for rent in Calabar in areas like State Housing Estate, Federal Housing Estate, Ekorinim 1 and 2, Satellite Town, 8 Miles, Parliamentary Road Extension, Anantha, Etta Agbor to mention a few. 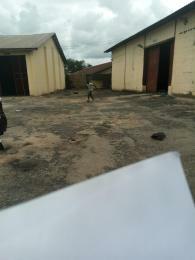 A duplex for rent in Calabar may cost at least N450,000 while a warehouse for rent in Calabar could cost N7,500,000.